The Herbert Bible School in Herbert, Saskatchewan, is usually regarded as the first Mennonite Brethren Bible institute in Canada. This claim is appropriate, although the identity and ownership of the school in the first decades changed a number of times and technically it was not always a Mennonite Brethren school. In 1911 the Northern District of the Mennonite Brethren Conference (Canadian) appointed a committee to study the possibility of establishing a Bible school for the training of young people. Two years later, in 1913, the school opened under the leadership of John F. Harms, who had come to the area from Kansas in 1908. The mission of the 3-year program was to train young people for Sunday school work, evangelism, and the teaching of German. Records indicate that the school experienced considerable difficulty because of a shortage of finances and teachers and by 1916 the very existence of the school was in jeopardy. Early in 1916 steps were taken to transform the school into a society school with participation by various Mennonite groups. At a 2 June 1916 meeting of the Herbert Kreis (South Saskatchewan District Mennonite Brethren), the delegation debated the question about the desirability of transforming it from a Mennonite Brethren school into a society school. The minutes stated that the delegation decided to release the school and wish it God's blessing. A new set of statutes was accepted at a general meeting of interested individuals at Herbert on 22 July 1916. Four previous meetings from 18 March to 6 July 1916 had preceded this meeting. The contents of these statutes provide interesting information about the nature of the proposed school. Membership in the supporting society was open to people of various confessions, although the Directors had to belong to a Mennonite church. The members of the initial Board of Directors included only two individuals who were identified as Mennonite Brethren (H. A. Neufeld and J. P. Wiebe). Two were identified as members of the Sommerfeld Mennonite Church (Peter Schulz and H. M. Klassen) and two as members of the General Conference of Mennonites (J.M. Wiens and Gerhard Buhler). Thomas Sawatzky and Wilhelm Janzen soon replaced Buhler and Schulz. The school did not prosper as a society school either. In 1918 Harms moved to Seattle, Washington. The school apparently operated in 1918-19 but was closed for the following two winters when there were serious crop failures. The Board of Directors continued to meet and there were frequent calls for financial support to enable the school to reopen. In 1921, however, a new initiative under the leadership of William J. Bestvater brought new life to the school. According to the records, the society made an agreement with Bestvater making him the owner of the school property on condition that he teach at the school for 5 successive winters. The school reopened in November 1921 with 59 students for a four-month session. Students had to be 14 years of age or older and instruction was in both English and German. The dedication service took place on 6 November 1921 in the Mennonite Brethren Church in Herbert. A two-year course of studies was offered and this was increased to three years in 1928. In 1922 Henry N. Wiebe also joined the teaching staff. There are no minutes for the period from January 1921 to April 1926, although an advisory board helped Bestvater run the school. When the agreement with Bestvater expired he decided that it would be best to place the ownership of the school back into the hands of a society. A meeting was called on 13 May 1926. This meeting was referred to as the "Organisational meeting of the Herbert Bible School Association." Bestvater was elected the chair of this meeting. The agreement which was formalized at the meeting named Bestvater as the continuing principal of the school as long as he was physically able and he was to run the school according to the Articles of Faith of the Association. The building was remodeled and part of it used for student lodging. A house was built for the Bestvater family on the adjoining property. The articles of the Association (essentially a Confession of Faith) provided for members from various denominations, although Mennonite Brethren members evidently were in the majority. Membership dues were stipulated. 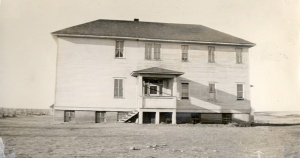 Wiebe left the school in 1928 and Henry Regehr and Isaac P. Regehr were engaged as teachers. Two years later, however, new financial difficulties arose with the onset of the Depression and the Board decided that the school could not reopen in fall. As a result the Bestvaters accepted a call from the California Mennonite Brethren churches to engage in Bible teaching there. The Herbert Bible School reopened again two years later under the leadership of Jacob Redekop. It continued operating under the governance of the Association. In time it essentially operated under the governance of the Southern District Conference of the Saskatchewan Mennonite Brethren Churches. 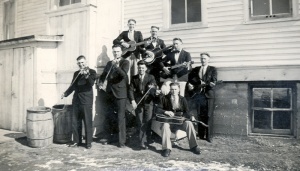 But enrolment and financial difficulties finally forced it to close in 1957 and the program was amalgamated with Bethany Bible Institute at Hepburn, operated by the Saskatchewan Conference of Mennonite Brethren Churches. The main building was sold to Millar College of the Bible in Pambrun, Saskatchewan. An estimated 1,000 students attended Herbert Bible School over the years of its operation. Celebrating God’s Goodness, 75th Anniversary book of Bethany Bible Institute, 2002. Redekop, Anna Rose (Bestvater). "Amazing Grace: The Life Story of William J. Bestvater." Unpublished manuscript at the Centre for Mennonite Brethren Studies (Winnipeg, MB), n.d.
William J. Bestvater fonds, Herbert Bible School fonds and South Saskatchewan District Conference (Herbert Kreis) fonds located at the Centre for Mennonite Brethren Studies (Winnipeg, MB). Dueck, Abe J. "Herbert Bible School (Herbert, Saskatchewan, Canada)." Global Anabaptist Mennonite Encyclopedia Online. 2006. Web. 22 Apr 2019. http://gameo.org/index.php?title=Herbert_Bible_School_(Herbert,_Saskatchewan,_Canada)&oldid=113007. Dueck, Abe J. (2006). Herbert Bible School (Herbert, Saskatchewan, Canada). Global Anabaptist Mennonite Encyclopedia Online. Retrieved 22 April 2019, from http://gameo.org/index.php?title=Herbert_Bible_School_(Herbert,_Saskatchewan,_Canada)&oldid=113007. This page was last modified on 17 February 2014, at 02:52.